This is a Heavy Duty Futaba J-Series 1000mm Servo Extension. 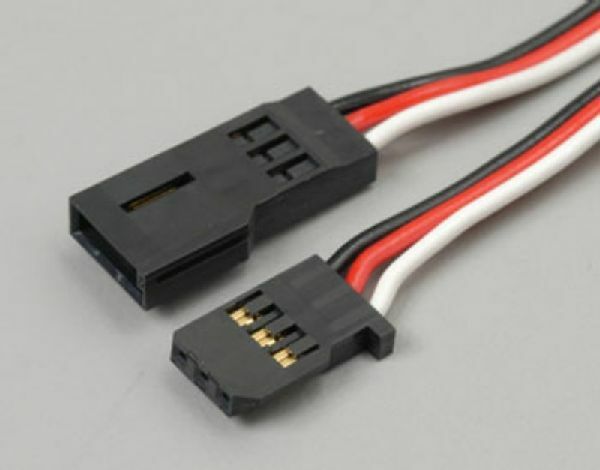 This extension goes between the receiver and the servo to make the wire longer. On one end of the wire is a male connector and on the other end of the wire is a female connector. FEATURES: Connectors slide snugly together to guard against vibrating loose. Heavy 20-gauge wire handles higher current loads with ease.